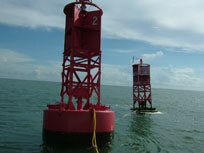 Commercial Divers Inc. marine construction company, marine aids-to navigation, serving Puerto Rico and Caribbean Basin. 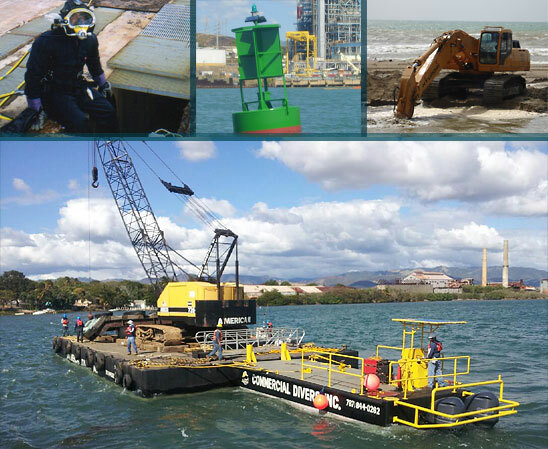 Commercial Divers Inc. provides a broad range of marine construction and related services on, over and under water for Puerto Rico, Caribbean Basin and Florida. We are 8(a)/SDB certified contractor. Serving the Public, Government, Commercial and Industrial markets for over 25 years. Thru our expertise, specialized equipment and vast experience Commercial Divers Inc. team brings reliability and the highest quality workmanship on time and on budget to our customers. 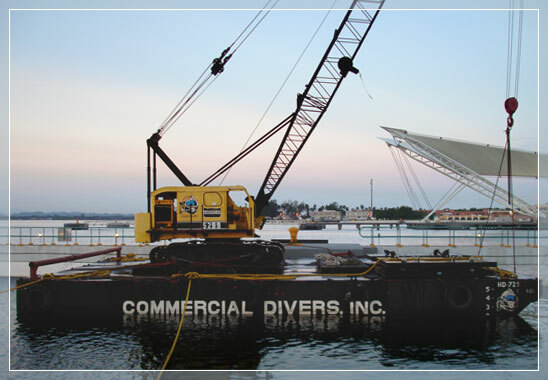 Commercial Divers, Inc. is a fully insured, professional diving company with a commercially certified team of experienced divers, in all areas of underwater, marine and construction projects. We have over 25 years of experience dedicated in the diving industry - providing quality workmanship - timely performance - and the highest degree of safety. Our the state of the art equipment is ready to mobilize 24 / 7 to address all situations related underwater conditions including - hazardous conditions such as highly contaminated water, confined work spaces, tunnel work, and high altitude operations and any other delicate situations or happenings. 24 hours 7 days a week - working closely with our Clients to reduce project costs while maintaining the highest level of personal and environmental security. Whether your project entails inspection, survey, salvage, navigation, marine construction or ultrasonic testing - Commercial Divers Inc., can serve you. All of our divers adhere to the highest standards of safety and performance. 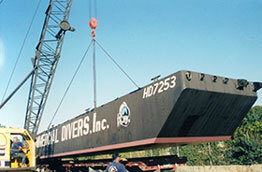 Our operations comply to and exceed industry guidelines set forth by the OSHA and the U.S. Coast Guard. markets for over 25 years! Call us today at 787 844-0262 for your next marine project! Contact us to discuss you project. Check out full list of services. All content copyright 2010 © COMMERCIAL DIVERS INC.
Puerto Rico Professional Website Design, Standards-Compliant Programming & Secure Web Hosting by Korber Group Inc.